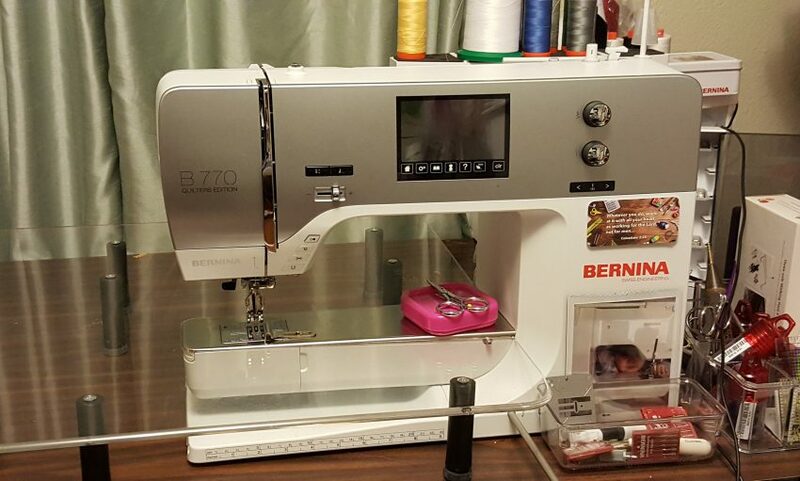 In May of 2016 my daughter took me to a Bernina dealer where I purchased my first Bernina, the 770qe with embroidery. I was so very excited to finally upgrade to a new machine. I had borrowed my daughter’s older Bernina and fell in love with it! So of course my new machine had to be a Bernina. 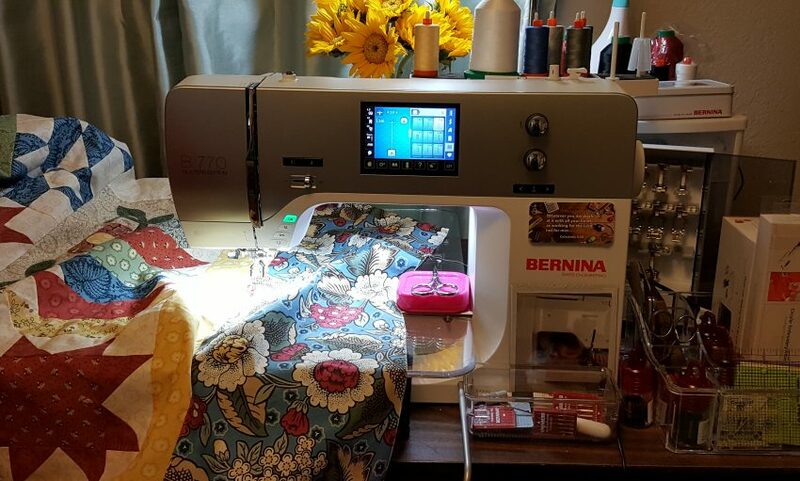 I’ve had an abundance of joy creating quilt after quilt with my new Bernina! 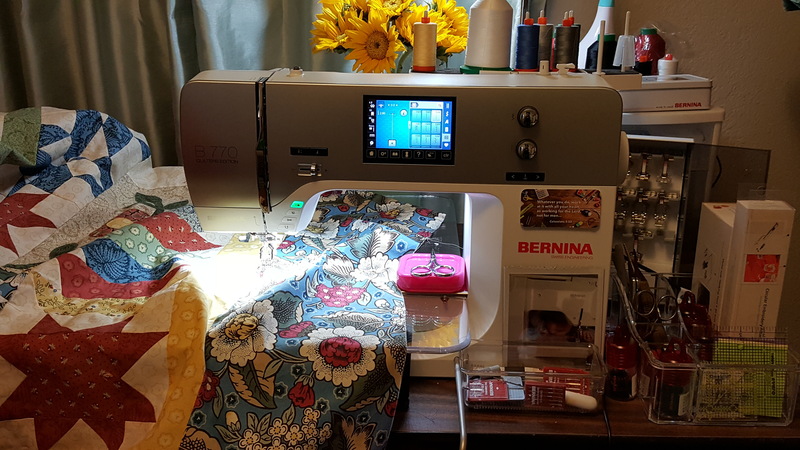 Next Next post: My First Bernina is still my Sewing machine today! 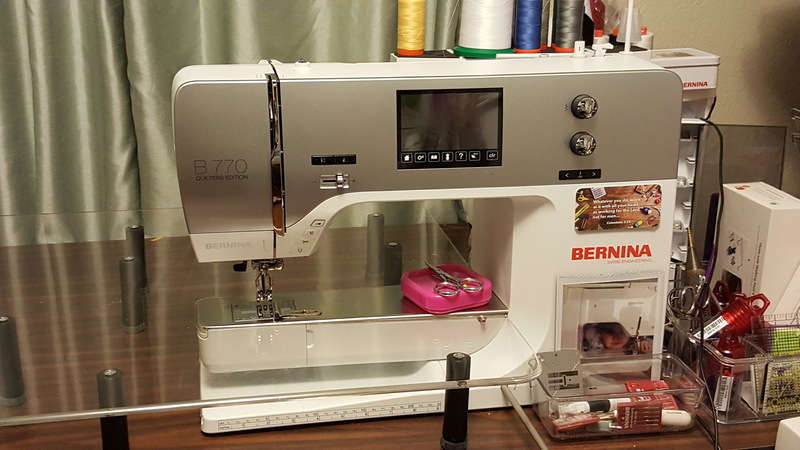 My first Bernina sewing machine was not my first sewing machine, but I longed for one. While I had a low level Brother machine and then a low level Viking machine I was never happy with them. One time a year, at Christmas time, I would drop by the Bernina dealer near me which was owned (and now still owned by their son) by Swiss couple. I would allow myself once a year to try all the Bernina’s and drool over them.Each time the woman owner in the store would look at me quizzically and say the same thing: something like “I think you’ve been here before?” or “I think I recognize you…?” Each time I would promise myself one day… This went on for 10, yup, ten, years! you. Finally, after 10 years, I had the money to get my first Bernina. The owner’s wife, Jeannine, was as excited as I was that I was finally after all those years, going to actually BUY a Bernina instead of just looking!!! My first Bernina was the Bernina 580 with the embroidery! I have never looked back. After trading up I now have the B790 E, a B700E, and the cute RED 530 for travel. I love my little 530 to do patchwork of small blocks and pieces. My love how my 790 breezes through layers of denim, and the700 embroiders so smoothly and accurately. Oh, and I now have DesignWorks and the Bernina Embroidery Software and most of the feet. Finally, I think I can call myself a “Bernina girl”!